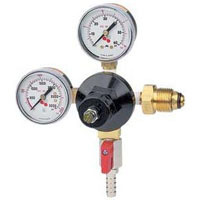 If you have a Guinness® Draft Beer Dispensing System, you need the best Nitrogen Regulator and we’ve got them right here! 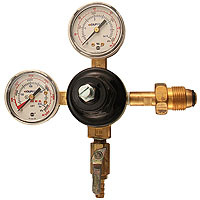 These nitrogen regulators are designed to control the flow of nitrogen gas in your Guinness® Dispensing System and are for use with any high pressure nitrogen tank with a CGA-580 valve. Whether you’re looking for a Standard or a Premium Guinness® Nitrogen Regulator we carry the best names like Kegco, MicroMatic and Taprite to make sure that you only get the best for your Guinness® Draft Beer System. Get yours now and make sure your system is always ready to pour the perfect pint!